Though it’s officially listed on The Mai-Kai’s legendary cocktail menu as an after-dinner drink, the Gardenia Lei is well worth checking out at any time, especially if you’re a fan of classic Tiki drinks. It’s also a great showcase for the lost art of the ice shell. 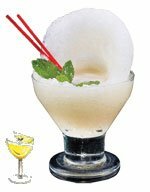 Our tribute to the Special Reserve Daiquiri, another drink that uses this same technique, includes instructions on how to make one. 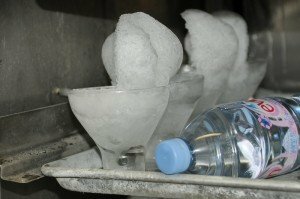 We saw how they were stored in the back bar’s freezer during our special tour in November 2011. The Gardenia Lei is a vintage cocktail that has been on the menu since the opening of The Mai-Kai in 1956, with its roots going even farther back to Don the Beachcomber’s Mystery Gardenia. 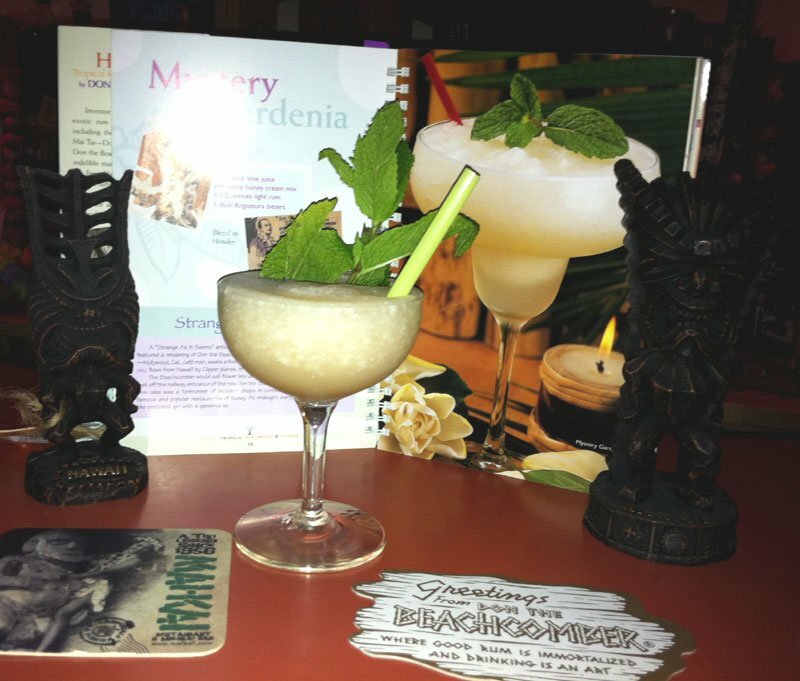 As we’ve pointed out in many other reviews, a majority of The Mai-Kai’s cocktails have their origins in the 1930s and 1940s when Donn Beach invented the tropical drink as we know it today. Many original Don the Beachcomber recipes have been unearthed by Jeff “Beachbum” Berry and published in his many highly recommended books. Berry’s dogged research resulted in a greater understanding of the art of tropical mixology and helped spur the Tiki cocktail revival that shows no signs of abating. But there are some recipes that eluded the Bum and force us to look elsewhere. 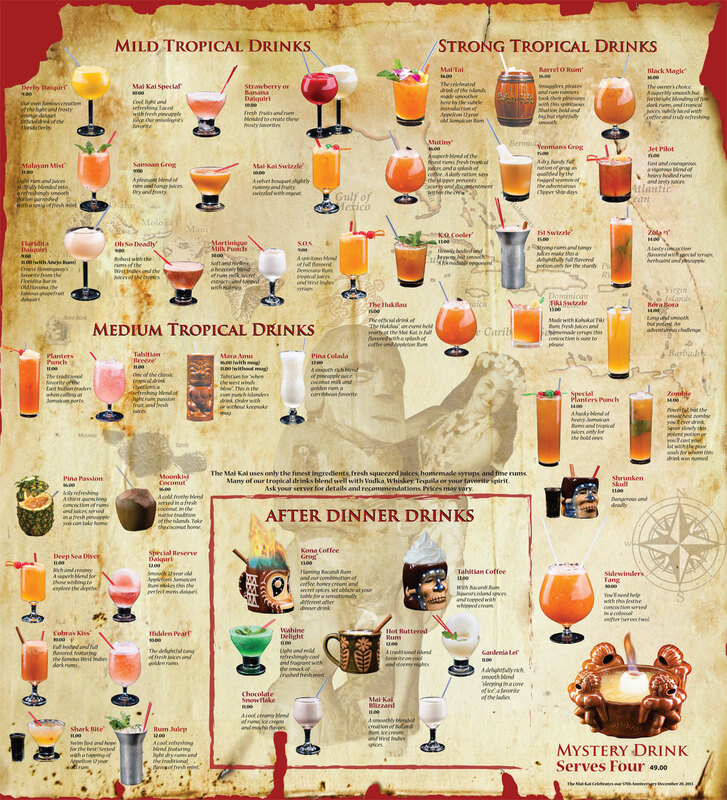 The most obvious source is Hawai’i – Tropical Rum Drinks & Cuisine (2004) by Don the Beachcomber. This vividly illustrated book (see photos below) wasn’t actually written by Donn himself but by his widow, Phoebe Beach (they were married from 1982 until his death in 1989). Donn Beach was famous for continuously changing his drink recipes, for better or worse. By the time he settled down in Hawaii with Phoebe, his classic concoctions had gone through many iterations. And some 1980s versions of his classics bear no resemblance to those from the mid-century (the Zombie is the best example of this). 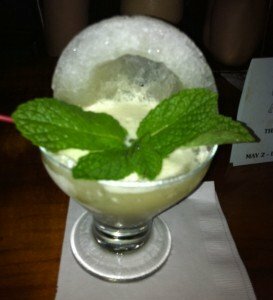 So it’s good to keep this in mind when recreating the drinks in the Hawai’i book. A few of the recipes in the book are also a bit confusing and could use some editing, but that’s a minor quibble. Those caveats notwithstanding, many recipes in the Hawai’i book shed new light on the Don the Beachcomber classics, including some that evolved into The Mai-Kai’s cocktails. The Gardenia Lei (aka the Mystery Gardenia) is one of these. A delightfully rich, smooth blend “sleeping in a cove of ice,” a favorite of the ladies. Flavor profile: Lime, creamy honey, light rum. Review: Sweet and creamy, with limey sour notes that blend perfectly with rum and bitters. Ancestry: The Gardenia Lei is The Mai-Kai’s version of Don the Beachcomber’s Mystery Gardenia. Mixologist Mariano Licudine worked for Donn Beach in Chicago in the 1940s and 1950s and brought many classic recipes with him to Fort Lauderdale, slightly altering ingredients and tweaking the names. Bilge: The most likely inspiration for the name of the drink was the song My Sweet Gardenia Lei, written in 1949 by Danny Kuaana and Bernie Kaai and covered by many Hawaiian artists over the years. Blend at high speed with 1/2 cup of crushed ice until smooth. Serve in a cocktail glass with a sprig of mint. * Honey cream mix is an obscure old-school ingredient very rarely seen in modern bars but prevalent in Phoebe Beach’s book. It’s basically a mix of equal parts of sweet (unsalted) butter and honey. The book recommends heating both separately, then combining and whipping with a wire whip until well blended. Use immediately, or store in the freezer if necessary. Then re-heat in the microwave. I’ve found this method to be fairly reliable, though I try to make just the amount I need and avoid freezing. You can also find it in the Deep Sea Diver, another drink that evolved from an old Donn Beach recipe. It’s unclear if The Mai-Kai uses this exact recipe, but the flavor profile of these two drinks is so similar that it would be pointless to attempt a tribute recipe. Its simplicity likely didn’t allow much room for Licudine improvise. But you could also consider it simply delicious. This entry was posted in Cocktail reviews, Cocktails, Cocktails, Culture, History, History, Mai-Kai, Recipes, Rum and tagged Beachbum Berry, Don The Beachcomber, Gardenia Lei, ice shell, Mai-Kai, Mariano Licudine, Mystery Gardenia, recipe, rum. Bookmark the permalink.